This is the next post in our series on the handling of violent criminal cases in Arkansas. Our last article discussed how search and seizure issues can exclude statements and evidence from Court. It is important to understand that such evidence is what charges involving violence often hinge on. In this article we will address another issue which often arises in such cases – the need to prevent unreliable eyewitness identifications from being introduced in Court. Many cases involving violence hinge on in-court identifications made by an eyewitness. Unfortunately, such witnesses may be mistaken in their testimony and such mistakes can cost an innocent defendant their freedom. The United States Constitution provides protection against such mistakes. A defendant in Arkansas, and throughout the U.S., can file to exclude such in-court identifications if they are unreliable and the result of overly suggestive police procedures. The first step in showing that an eyewitness should not be allowed to identify a defendant is to establish that the identification itself is unreliable. The Court will look at factors such as the opportunity the witness had to view the perpetrator, whether the witness’ view was obstructed, etc. The second step in excluding in-court identifications is to show that overly suggestive police procedures lead to the identification. Examples of such procedures would include law enforcement placing a defendant in a lineup where a tall defendant is surrounded by shorter people in the lineup. If the requirements of an unreliable identification and overly suggestive police procedures are present then the eyewitness will be prohibited from testifying. The process for keeping an eyewitness from making in-court identification begins with filing a Motion to Suppress the Identification. The Court will hold an evidentiary hearing to determine if the requirements above are met. If the requirements are met then the Court will grant the Motion. Given that many violent crime cases hinge on such identifications, being successful with such a Motion can effectively end the case. 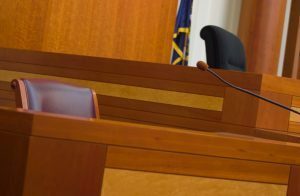 It is crucial that defendants hire an attorney who is familiar with this process. Our Little Rock criminal defense lawyers have over twenty-five years of combined experience and have handled many matters involving the suppression of identification. Contact our attorneys if you have questions. We also handle matters in Fort Smith, Fayetteville, Springdale, Jonesboro, North Little Rock, Conway, Rogers, Pine Bluff, and throughout the rest of Arkansas. Contact us today.